As regular readers of this column should have realised by now, the Week In Video likes to put one label under the spotlight every so often, with a round-up of the more prolific labels’ collected output, which, more often than not, offers up a good idea of where any given distributor is at. And lo, it came to pass, that, over the past week or so, we’ve turned our attention to Signature and have viewed a quartet of its titles. The use of the biblical language at the start of that last sentence there is particularly apt for God’s Not Dead, a Christian film from the US. These films are big, big business over there (this film can proudly point to a $60 million box office haul across America) but don’t really have the same impact over here. What this title, which rails against a liberal education system, liberal values and anything even vaguely using the L word, has in its favour is a smart social media element. The film includes a call to arms for its God-fearing audience, an exhortation for them to text everyone they know telling them, simply: “God’s not dead.” The social element will help it sell – born again Christians could well mobilise and use sites such as Twitter and Facebook to urge fellow believers to go out and buy it. It’s hard to see it extending beyond that, although that’s still a relatively sizeable crowd. Also from Signature comes Debug, one of those Alien-esque sci-fi thrillers that always plays well with DTV devotees. Like Cube, a masterwork of the genre, its invention makes up for any lack of budget. It doesn’t necessarily always hit the mark, but it’s always watchable and, as ever, Signature has dressed it up in a cracking lenticular sleeve, one that will help ease it off the shelves. Signature is enjoying some strong successes with children’s titles and we’ve caught up with a raft of those too. The Cat In The Hat At Christmas features the much-loved Dr Seuss creation. It features they eponymous cat, a host of familiar faces, and has a Christmas theme and a very reasonable selling price. What more could you possibly need to know? Our youngest junior correspondent thoroughly enjoyed himself watching it, which gives it the official seal of approval too. The Snow Queen is its latest success story, this is perfectly placed for the post-Frozen crowd eager to watch something new. Parents will be glad to just have to insert something else in their DVD or Blu-ray platers that isn’t the Disney mega-hit that they’d positively welcome it into their households. There’s only so many times you can listen to Let It Go, and while this may not have the same charm or appeal as the big-budgeted Disney hit, the mere fact that it’s not Frozen should be enough to see it through beyond even the worst of winter. Some 25,000 units and counting in its first week is a strong indication and this one should have legs too. It follows hot on the heels of another hit, the rather lengthily titled Adventurer The Curse Of The Midas Box, released a couple of weeks ago and another strong success. Convict from Signature is as different as you could get from the independent’s children’s fare – it’s a hard-hitting prison drama. No, it doesn’t have a raft of big names, but neither did Starred Up. And while that is on the opposite side of the Atlantic from that title, its sleeve has a similar hue and feel to it; while this should be able to easily ride on its coattails. 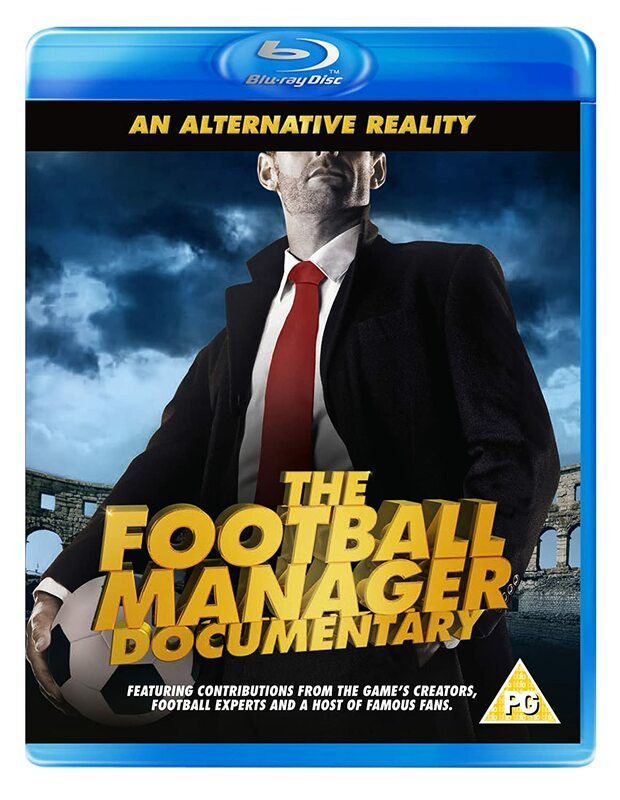 Best of the bunch from the label, however, is the masterful An Alternative Reality: The Football Manager Documentary, a – you guessed it – documentary looking at the bona fide gaming phenomenon. With a new one out, and its fans likely to have bought their own copy already, then this is just the trick for them this Christmas. It boasts an outstanding cast of experts, football types, comics and more talking about the game. Hugely entertaining and given the ongoing success of the game, it should have some longevity. Smarter retailers would be looking at activity cross promoting this with the game. Two from the resurgent Icon imprint and both are among the best we’ve seen this year. The pair, Grand Piano and Cold In July, are both thrillers and yet are as far removed as you can get. The former is a Hitchcockian tale of a concert pianist tempted out of self-imposed retirement and caught in a fiendish if essentially daft plot. It’s oodles of fun and marks another compelling choice by Elijah Wood, further marking out his territory as the go-to man for American indie outings aspiring to appeal to both arthouse and multiplex audiences; he’s currently straddling the two worlds and his presence is still large enough to woo mainstream punters. Cold In July is one of the year’s best, a Texan noir from Jim Mickle that resembles adaptations of his namesake Thompson’s work. It’s sharp, sassy and eminently watchable, given its fine cast, including a resurgent Don Johnson, alongside Sam Shepard in one of his finest roles for donkey’s and, best of all, Michael C Hall as the main protagonist, sporting a rather fetching Tennessee waterfall (that’s a mullet to anyone else). With a buying strategy that involves picking up titles like this – and all the evidence suggests they are – then it’s well worth keeping an eye on Icon’s output throughout 2015. Also from Second Sight, but rarely given the description of “classic”, is Super Mario Bros. The film, a big budget game adaptation that essentially flopped, is actually loads of fun, but its troubled production and gestation hampered its chances at the box office. Worthy of reappraisal, Second Sight has done another grand job with its release, the film looks great. This one is more of a slow burner, but its arrival should be recommended. Lastly, from the Eureka Masters Of Cinema imprint, there’s its Blacula package – or Blackage, for short. A cracking alive of blaxploitation horror, another fine job done in putting it together and a welcome addition to its catalogue.